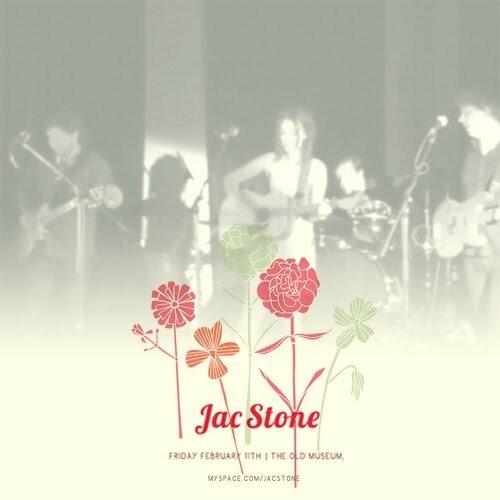 I saw Jac Stone at the Old Museum last night for her 'Leave Me Here' EP Launch. Word's cannot describe how fantastic this gig was. Supported by Emma-Louise and sharing the EP launch with James Grehan, both artists were great. Emma's songs were catchy and the lyrics emotional and meaningful, whilst Jame's set reminded me off the Byron Bay Bluesfest, acoustic guitars, slide guitars, loop pedals and just fun jams. The highlight of the night was of course the lovely Jac Stone. From the beginning the crowd was up from their soft red cushions on the floor and dancing and cheering. This was Jac's night and you could tell by the smile on her face that she was loving it. In my opinion, my recording turned out fantastic (minus a few pop's and feedback, which actually came from the PA, not my gear). I've added the fades, some slight EQ. Once I get a chance I'll track it and upload it here. Keep your eyes out for this recording, its well and truly worth the download!